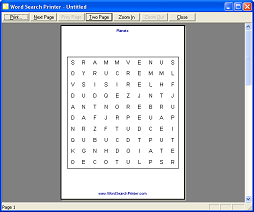 Word Search Printer is an easy to use program for creating your own word search puzzles (also known as "word jumbles" or "word find puzzles"). It can create puzzles in seconds, print them, copy to the clipboard, and comes with a variety of ready-to-use templates. Free trial version available to download. 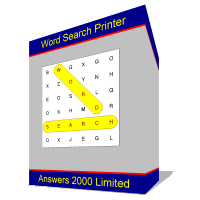 Word Search Printer is our company's (Answers 2000 Limited's) software for preparing and printing your own word search puzzles. The program is intended for parents and teachers who want to create customized puzzles for their children or students, as well as for publishers of magazines, periodicals and newspapers wishing to create such wpuzzles. Word Search Printer comes with a wide variety of ready-to-use word lists, which you can simply select and print to create an instant puzzle. 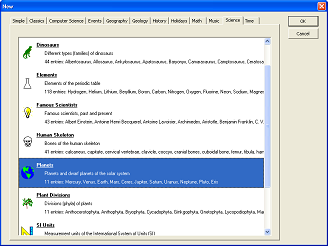 You can also create your own customized puzzles, either by modifying a standard word list to suit your requirements, or simply entering your own list of words. You can customize the puzzles's appearance with your own choice of colors, fonts, headers, footers, etc. Puzzles, customized to your requirements, can be printed in minutes. 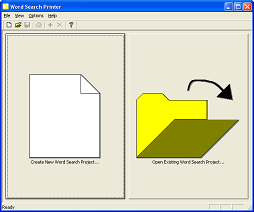 The program will can also print solutions, and even copy puzzles and solutions to the Windows clipboard if you wish to paste your puzzle into another program (for example Desktop Publishing Software). But you don't need take my word for all this, there is a Trial version of the software which you can download and try for free (there are some limitations in the Trial version of the software), before deciding if you wish to purchase the full version. Our company, Answers 2000 Limited, is the vendor of this Word Search Printer, and we sell this product exclusively through ClickBank. You can purchase Word Search Printer using most major credit and debit cards, or by using PayPal. Although some payment options may not be available for all customers. Disclosure: Our company is the developer and vendor of Word Search Printer.